At Jonathan's Landing - This rack system is 25’ wide x 12’ deep x 30’ high. It will accommodate your wider and taller profile boats up to 32’ long. 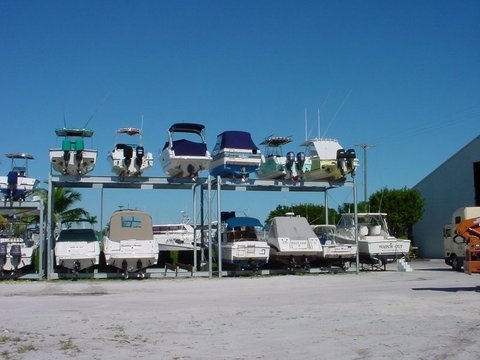 At Snake Creek Marina - Both of our 2 and 3 boat wide systems are offered in 2, 3, and 4 levels high. The system pictured above is our 30' wide x 33' high rack system. This system will accommodate medium size T-Top's or parking below. 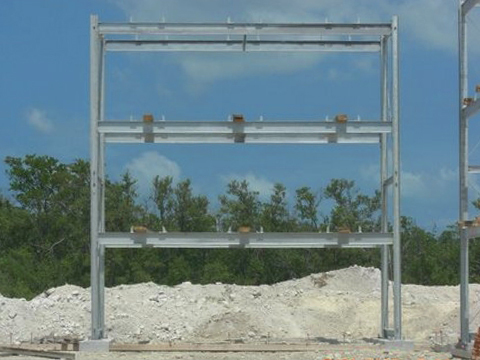 At PGA Marina - The racks pictured above are 30' wide x 20' high x 15' deep that will accommodate trailerable boats to 38' in length and 17' in height. This configuration will store your tall profile T-Tops with outriggers and radars. At Johathan's Landing - The 6 boat module pictured above is our 30' wide x 15' high x 12' deep. 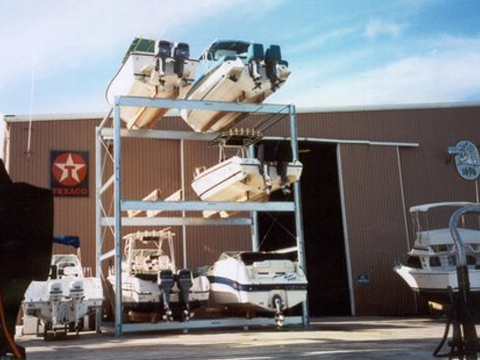 This system is designed to store boats 3 wide and 2 high. It can also be reconfigured to store wider boats by removing one set of wood bunkers and turning it into a 2 wide and 2 high systems for your very widest boat inventories. 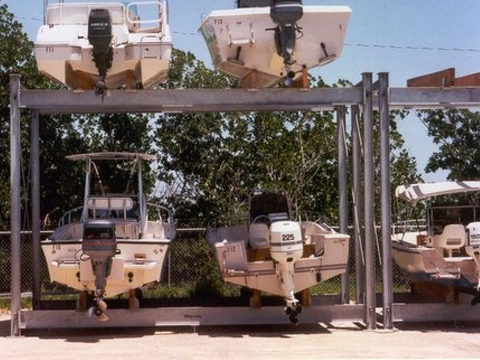 At Murray Marine - Our portable racks are available in many different configurations. 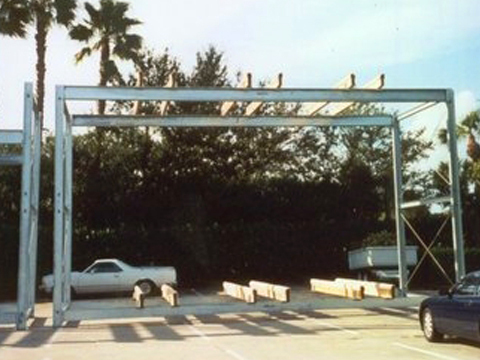 Pictured above is our 20' wide x 15' high x 12' deep rack system. This will accommodate boats up to 8' wide x 11' high and 32' feet in length. Our per boat weight capacities on all of our rack systems can range from 4,000# to 20,000# per boat capacity.